Olivia Kirtley is a PhD Student at the Suicidal Behaviour Research Laboratory, University of Glasgow. In this blog she shares her thoughts on engaging the public with research when your subject area might be considered taboo. You can read the original blog on the ihawkes website. As a child, I grew up watching the Royal Institution Christmas Lectures on TV and feeling a tremendous sense of excitement as these famous scientists submerged PhD students in ice water baths, cuddled lemurs and dissected brains, all in the name of public engagement with science. During my PhD, I’ve been on lots of courses designed to equip scientists with the wherewithal to take their research out of the ivory towers and into people’s everyday lives. However, it has rapidly become clear to me that if your research doesn’t go whizz or bang, you are somewhat out of luck. For those in health research, this can cover rather a lot of areas, e.g. sexual health, alcohol and substance abuse, and indeed much of mental health research. One day I lamented this fact in a meeting and one of my supervisors asked “Well, what public engagement would you like to do?”, to which I had to answer, “I don’t actually know”. So far removed does my research seem from all of the activities that are catered for within the existing public engagement courses I have been on, that I am not even sure what opportunities there would be. I cannot make a jelly cell to talk about psychological distress and there is no plush cuddly microbe for emotional pain. For me, this raises a question of whether or not health science, or at least some areas, needs some more specialist assistance in making our research accessible to the public. Particularly for PhD students in these fields, specialist public engagement training catered to the unique needs of topics which are often felt to be “off-limits”, could be of huge benefit, changing the way they think about their research for their entire careers. When asking for ideas about how we can better talk about suicide research with the public, I have frequently met with the response “Oooh…well that’s quite a tricky topic”. Or “that’s not really something we could talk about”. If we can’t even get other researchers to accept our topic as something to be talked about in public, how can we hope to engage non-academics with our research? Maybe we could frame it differently? Perhaps we should talk about good mental health as a key part of overall wellbeing (which it is)? But at some point, I am probably still going to have to say “suicide”. Shying away from topics that may be perceived as sensitive or emotive helps to perpetuate stigma. Stigma costs countless lives each year and people suffer with mental and physical health conditions, as well as huge health inequalities, in silence because they are embarrassed, ashamed or too isolated to tell someone or seek help. I feel strongly that as researchers we have a duty to use our privileged position to break down barriers around openly discussing health issues. 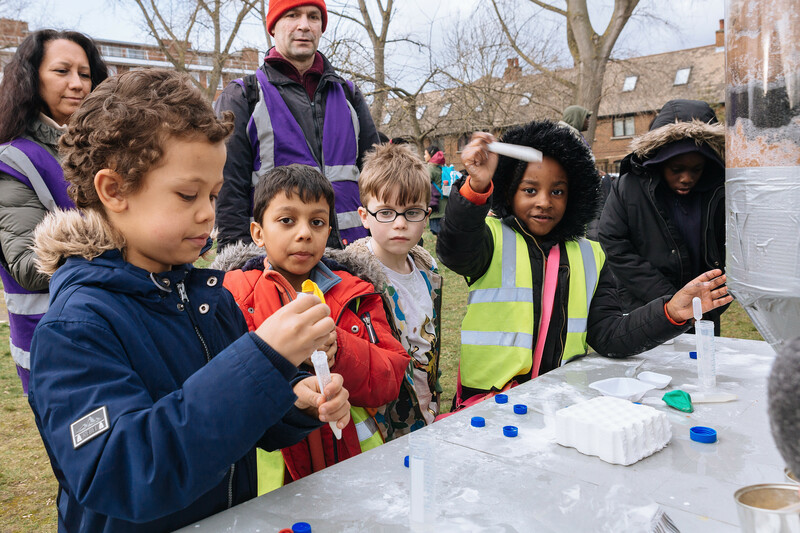 Public engagement is in vogue as increasingly more funding bodies require scientists to communicate their research to the public who fund it. The bottom line though, is that our public engagement activities have so much more potential than acquiring grants; they can start conversations about important health issues that could result in real positive change for individuals experiencing various mental and physical health conditions, as well as those who support them. What are your experiences of public engagement in health and wellbeing research? Do you have any good ideas for/experience of engaging the public with sensitive research topics? my experience supporting scientists engaging outside the academy is that you don't necessarily need to talk about the minutia of your experiments but what they mean to people. In one instance a grad student was working on developing a new diagnostic for fetal alcohol spectrum disorder. The diagnostic involved eye tracking. When she spoke to a group of parents considering adoption she didn't talk about eye tracking experiments but about the experience of FASD kids and how a stable home life helps put them on a resilient trajectory and how early diagnosis is key to better interventions. As a result some parents are now considering adopting FASD kids where they weren't before. It's not just about your science per se but about what that can mean to the general public. Thanks for reading David and for your comment. I completely agree with you: engaging people outside academia is often more about hearts and minds than it is about detailed scientific critique. It's great to hear a success story like that of your grad student and compiling a collection of such stories would be a really good way of showing what is possible for public engagement with sensitive topics. I think it would not only encourage the scientists doing the research to get more involved, but would also increase others' willingness to provide platforms for engagement of this kind. Olivia, I'd like to send you our community project on a systemic approach to self -harm but have no email for you. Please can you let me know? Sara Ireland, specialist clinician and psychologist ,Cambridgeshire local authority.